What is a Junk Removal Service? Junk removal services is often associated with 1-800 type companies and very expensive pricing. 1-800-GOT-JUNK is a Vancouver based junk removal services company that essentially created the industry. Junk Removal Services Originated in Greater Vancouver, BC! Did you know that Vancouver, British Columbia is the epicenter for junk removal services? 1-800-GOT-JUNK, formerly Rubbish Boys pioneered the industry right from the G.V.R.D. 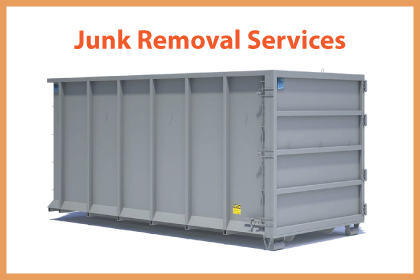 You can certainly consider using that junk removal company but you should also consider renting a junk removal services bin. There is a lot of work involved in choosing what household junk has to go and often having the bin on site for a few days results in a less expensive and more efficient junk removal experience. Don’t take our word for it though, hire a junk removal services company and then find out that there is more junk hidden under the stairs, in the garage or right in plain sight and missed. Are you looking at a junk removal project in your home? Maybe it’s been piling up for a long time in your garage or basement but you just can’t put it off any longer. Often we hear about logistical challenges when ordering junk removal services and getting it all ready in time for the truck. Since the labor is included to remove the items with your junk removal services lots of our customers want to leave the heavy lifting to the removal company. For homeowners or business owners that create more garbage than their municipal provider will handle, feel free to call on TrashKing today. Prices are supposed to be based on how much room your junk takes up in the truck, but its only one of the factors that go into estimating junk removal costs. Of course, we are a biased opinion but we recommend junk removal bin rentals instead of hiring two strong bodies and a truck. They’ll drop off a waste bin at your location that you can fill at your convenience. Just call them back when it’s ready to go. Take your time and get the job done right so you won’t have to call back a second time. Simply give us a call or visit our quotes page and request a call back. We will help you estimate the cost of your junk removal and then you can schedule an appointment. Simply show us what has to go and watch while we load it. TrashKing provides professional junk removal services and bin rentals of all sizes throughout Canada. If you have unwanted furniture, household rubbish, renovation debris or any other junk that’s taking up space on your property or in your home, contact the experts from TrashKing. All it takes is a call to our junk removal services hotline and you can get the ball rolling on your cleanup project. With competitive pricing, professional drivers and junk disposal services that include ethical waste management and an if it can be recycled reasonably, it will be. Trash King has been one of Greater Vancouver’s leading rubbish removal services for many years; just a few of the reasons they are number one include excellent customer satisfaction reviews, a large variety of services offers, and great low prices. Trash King offers bin rentals in many different sizes for convenience, as well as estate cleaning services and junk removal. For all details see tk123-new.mystagingwebsite.com or call us and we offer alternatives to tradition rubbish remova...l services. 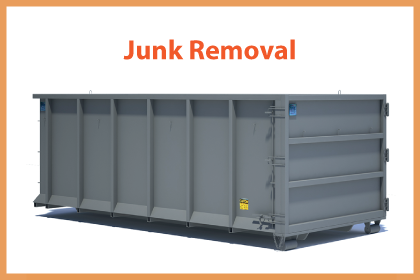 We also offer junk removal bin rental services, so call today and find out what we can offer you. What makes the best rubbish removal company? This is a personal choice but should consider whether the company offers affordable rubbish removal services. Another factor to consider is that the rubbish-removal service has a good online reputation. No one wants to use a dumpster rubbish cleaning company that doesn’t also offer rubbish bins and junk removal services! Its also notable to find a company that offers ethical removal practices and rubbish recycling. Check out Trash King if you want an ethical disposal contractor that red...uces your environmental impact. Customers appreciate the length that TrashKing goes to properly repurpose and recycle your debris and materials. They estimate about 80% of all the junk and rubbish they collect are recycled, and that means hundreds of tons of trash is diverted from your local landfill every year through their dedication to preserving the environment. Do you live in an area where space is limited? Consider a mini bin for your junk removal needs. In some urban areas of Vancouver, the space that is available for a construction or renovation project can be extremely limited but a mini bin rental is ideal to solve this problem. Smaller bins are available to fit into those tight spots so your junk removal in Vancouver West can be conducted on a smaller scale. It might surprise you to learn that when you call TrashKing for your junk removal needs in Vancouver, 80% of your materials will be recycled. This amounts to thousands of tons of materials that TrashKing diverts from the local landfill and instead recycles, to reduce your carbon footprint, and to keep your local area beautiful. If you’re looking for a junk removal company in or around Vancouver, you’ll probably want to learn a bit about the company before you trust them with the project. Customers often want to know if the price they are quoted is the same price that they’ll end up paying when the job is complete. Trash King’s junk removal prices in the greater Vancouver area are not only competitive, but are listed on their website when you visit tk123-new.mystagingwebsite.com. The price they quote is... the same price you’ll pay. Customers might also be interested to know if their rubbish bin will be delivered on time, and picked up in a timely manner. TrashKing is committed to fast and reliable service. You won’t wait around for them to arrive. The process is simply, just call the junk hauling hotline and get your junk removal services bin picked up within twenty four hours. We also work with you to keep your trash removal costs to a minimum. Our affordable rubbish removal services are given to you before the work commences and you always get a free quote. Simply talk to our team of removers and we work out a pricing structure that works for your budget. If you are looking for rubbish to be removed by a professional junk hauler in Greater Vancouver including Coquitlam, Burnaby, Delta, Surrey, North Vancouver and the entire Northshore including West Vancouv...er then we have a solution for you. If you are in Port Coquitlam, Maple Ridge or Mission we can offer you rubbish removing services that are sure to please your wallet and even the toughest critics. Trust Trash King to deliver waste removal solutions that exceed expectations and deliver value to homeowners and businesses alike. What is household junk removal? All of our bins are all good options for garbage removal containers depending on how much you have. Often garbage refers to household garbage that is collected and disposed of at a landfill, incinerator or transfer station. Call one of our garbage bin specialists today to find out what to do with your garbage. We had a client that kept strange items for the theatre and film industry to use as props in feature films, documentaries and anything video related acted out by people on the silver screen and enjoyed by homeowners, families, and all for years to come. Every day brought on new items to guess their purpose and implementation would have been and possibilities for new uses and plans. We removed dumpster after rolloff dumpster of garbage from a movie set like warehouse full of props and memorabilia of significant size and portion. This warehouse included racks that were 12 Feet in the air and often overloaded with props and set that we have to dismantle and load in our roll off bins for commercial film crew garbage including food waste receptacles and unique and large movie sets like massive clowns, whales and anything else that you have ever seen in a movie or television ...show. Did you know that cardboard is valuable? You read that correct. Cardboard is a commodity and is actually sold to scrap yards and recyclers. Its value follows the price of steel and, the price of oil plays a factor too. Our junk removers company has pretty much hauled every item on the face of the planet. TrashKing once had a commercial warehouse customer who imported grapes from California and then helped his customer make them into wine but rather than take the wine right away, this vendor would store the wine properly for years as a package deal. The grapes were heavy and the corrugated cardboard was industrial. We ended up selling the cardboard from the removals job for $400 after being paid $400 to haul the corrugated waste These pulp containers that wine connoisseurs paid a hefty ...price to make a vintage that supported a taste in the premium category of wine but only costs the value standard. In the many years that we have been providing junk removal to Surrey, South Surrey, White Rock and Semiahmoo regions of the Fraser Valley we have always enjoyed our famous customers. One successful singer fell in love with a woman from South Surrey and Morgan Creek and moved up from Tennessee. For one reason or another when he decided to throw out his Star Wars collectibles and GI JOE figurines, we were careful not to miss any materials that he might want to part with. This simply is an index of anything that we might haul away. Did you know that junk removal is a category that includes anything and everything in the home, business or industry? Everything from trade spoil and waste to residential garbage collection services. We provided removals service to this Canam Enterprises in Burnaby, British Columbia over a period of time that was both interesting and exciting. At TrashKing we also recycle our garbage loads when possible. Some of the facilities that we use sort and recycle materials, so we always try and get our garbage loads into those facilities if the contents of the load qualify. Our junk disposals have been a source of table talk and neighborhood gossip is the fact that we prorate the tipping fees at the dump and transfer stations. 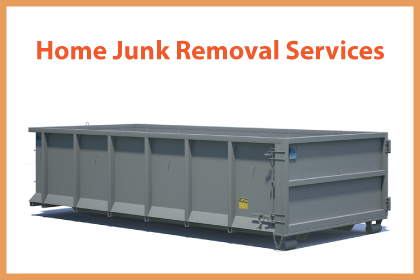 Call today to get a custom price based on weight for your junk removal services bin rental. Trash King offers alternatives to residential junk removal services for homeowners and has commercial junk removal options too. While we don’t send two strong people and a truck to remove your rubbish, junk and trash, we do provide a junk removal bin rental for all your unwanted junks, clutter, debris, rubbish, scrap and refuse including appliances, basement junk and construction waste. You can load the rubbish bin at your convenience and we dispose of your junk in an ethically responsible ...way. Call us now to talk with a junk removal services expert. If your furniture is still in good shape, then selling them would be more recommendable than disposing them off using junk removal services. This is very ideal if you are thinking about getting rid of leather furniture. Such furniture will maintain their shape for a relatively long time and even when they begin to get old, there are very many people who would be interested in having them, given that the cost of getting new ones is very expensive. You can sell your furniture online on auctions sites such as eBay, classified sites such as Craigslist or you can get rid of them through a yard sale. If you don’t feel like selling the furniture or disposing them using junk removal services, then you can as well give it out as a donation. There are quite a number of organizations or establishments which would be interested in your old furniture, however shabby you might think they appear. Such organizations or establishments include local coffee shops, homeless shelters, local theatre etc. For instance, if you have an old book case,... or an old, but clean couch with a few tears on the cushions, a nearby shelter may have better uses for them than the junk removal services. Some of the nice furniture you see in people homes has been passed down the family for many years. If you want to get rid of a an end table, a desk, a sofa or any other piece of furniture, you can probably ask among your family members if there is anyone who needs them. You may probably want to target family members who are still in school or have not made a lot of money to consider purchasing high end furniture. Such will always be a huge blessing to them. Junk removal services should be the last resort if you don’t have any other means of disposing your furniture. With all the options above, none costs you money, and if you manage to sell your furniture, you will even get more money. But with junk removal services, you must dig into your pocket to have your furniture disposed and this is the bad thing about it. Again, if you have upholstered furniture, you may find that they are classified as hazardous or dangerous wastes, meaning that their... disposal is highly regulated and the junk removal service company will have to charge you extra if you want them to carry away your furniture. At Trash King we focus on diverting as much of the rubbish that we remove from the landfills, transfer stations and municipal dumps as possible. We work with local recycling operations so that we can empty the containers the hold the rubbish that our company removes in recycling facilities that source separate, repurpose and convert useless waste into industrial solutions. Some examples of repurposing include the shredding of car and truck tires. Even the commercial tires eight feet in... diameter can be shaved down and used as road base for city dumps across the country. We turn your rubbish into something that benefits the earth and serves a useful purpose.